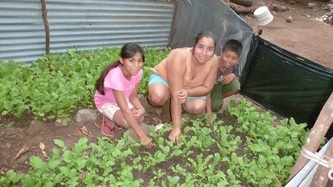 ASER was founded in 1996 in Veracruz to provide professional services to poor communities. 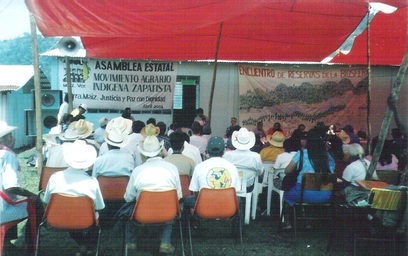 It is the local face of the national organization MAIZ (Movimiento Agrario Indígena Zapatista/Agrarian Indigenous Zapatista Movement). MAIZ was formed independently by peasant farmers and indigenous people and functions as an instrument of struggle for the defense of human and collective rights of the indigenous and peasant communities. 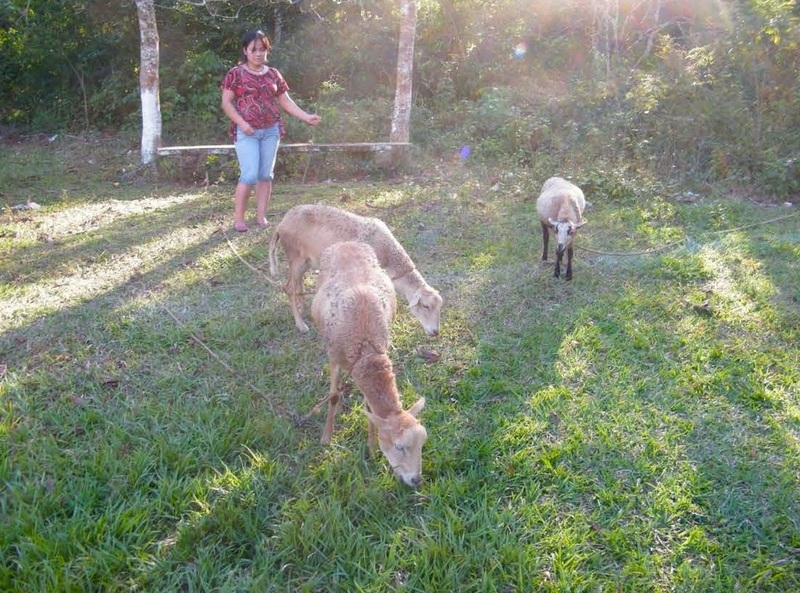 In their vision statement MAIZ-ASER emphasizes support for the development of citizenship in rural areas, promoting democratic culture and more transparency and participation. 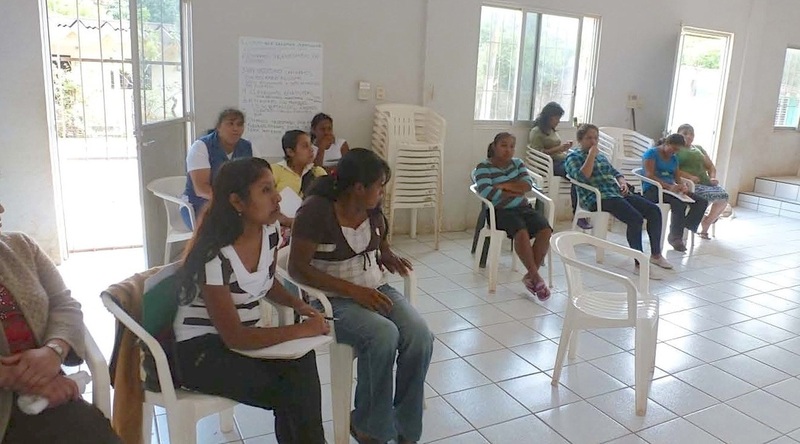 A MAIZ Meeting.Among their main objectives are strengthening local indigenous and peasant organizations and increasing the self-management capacity of farmers' groups through various projects and community development. 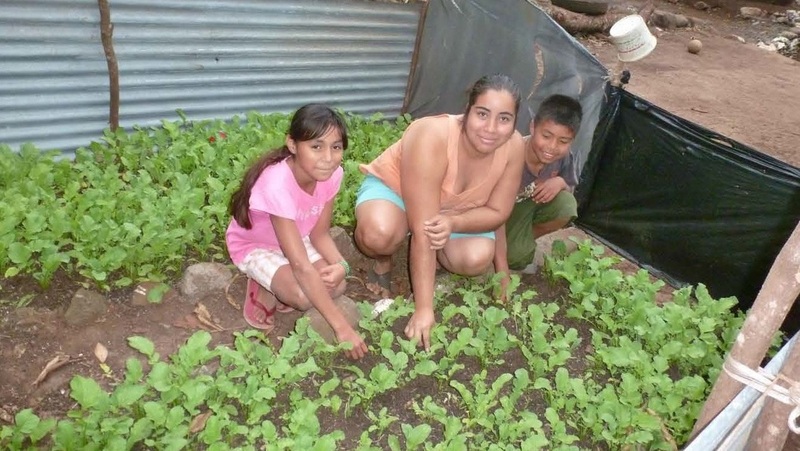 ﻿2013 Project Report:﻿ This project exceeded its goals, as nearby communities heard about it and asked to be included. 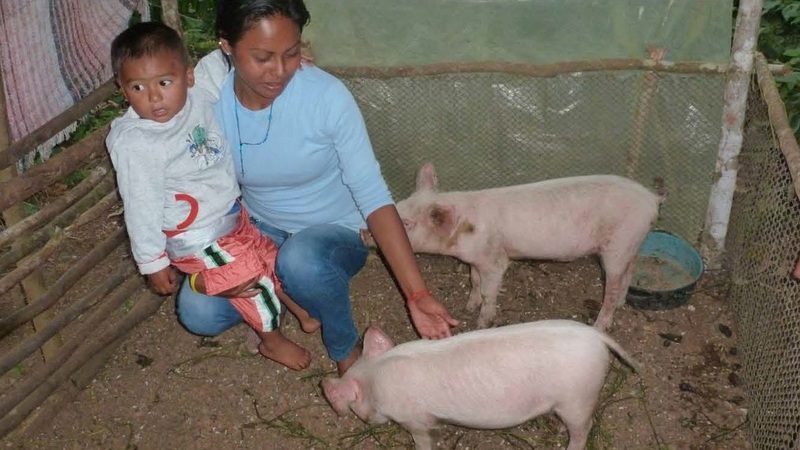 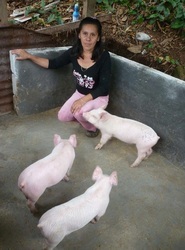 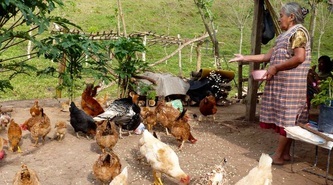 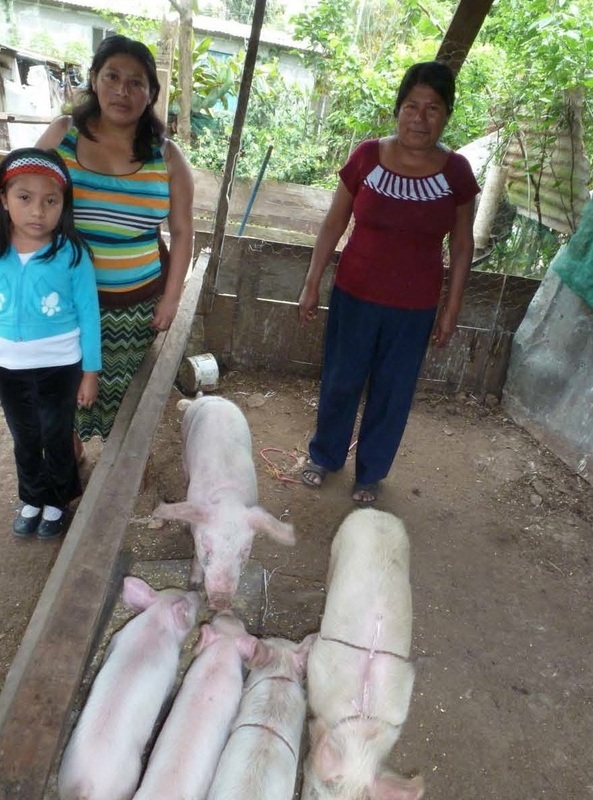 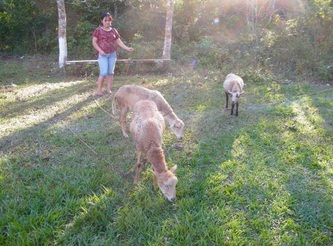 Working with 66 families in 4 communities in the county of Catemaco, Veracruz, they established 17 chicken projects (each with 10 chickens); 39 pig projects (2 females and 1 male in each); 3 sheep projects (two sheep per family and one stud sheep per community); and 7 family gardens. 85% of the beneficiaries were women. 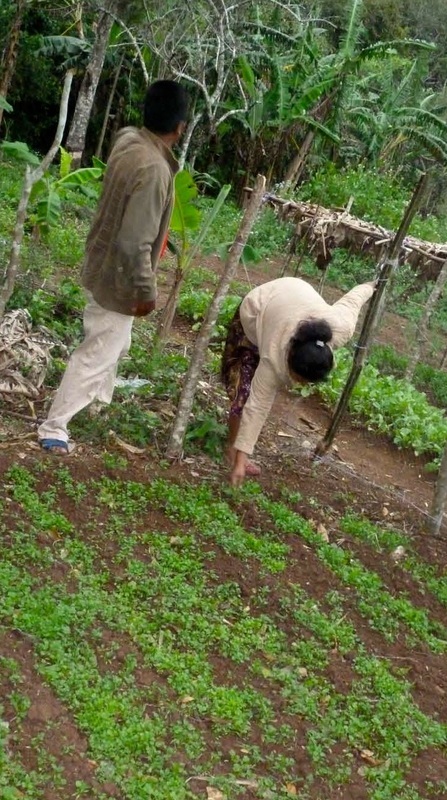 The project included ongoing technical assistance and workshops on animal husbandry, preparation of nutritional and medicinal supplements from local materials, and compost and organic fertilizers and pesticides. As positive results, they report greater unity among the families, and that the animals didn’t die! 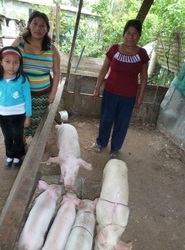 While most of the production was for consumption, some of the families received some income from the sale of surplus production.